Console Microsoft Xbox 720 or Xbox 8 ? 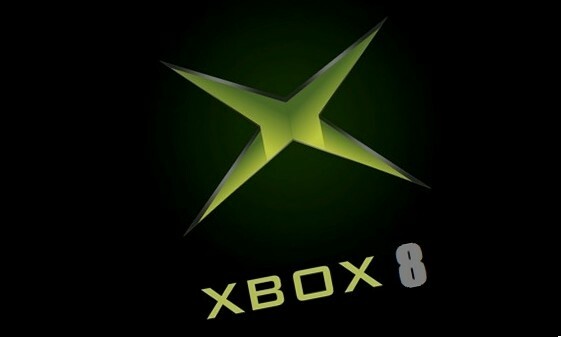 Microsoft secures 'Xbox 8' rights . Microsoft has won a dispute over Xbox-related domains including 'Xbox8.us' and 'Xbox8.org', hinting at another possible name for its next-generation console. Could it be the name of the company's next console? Whats your view on this raiders ? Will the next Xbox have Windows 8 OS , or is it the rumored 8 core Processor , that has to do with this Name ? Naah.. its just to spread the buzz .. It wont run Win 8 OS unless MS comes up with some special peripheral to let home users interact with it on their big screen .. *hint* *hint* ..
Bring on the next gen games.. It is a generational shift MajinBuu, the underlying message is that everything from MS will be seamlessly integrated under the Win 8 technologies..
whether its the phone, the tablet or the pc or whatever ! I'm guessing a 4 core CPU + 4 core GPU with SSD for super fast speed, and mind blowing 1080p graphics, with an optional 3D gaming as well. If I was MS, that's what I would have done, Given the PC segment a run for its money. I see the future as a hybrid of PC + console. Basically if you have a powerful enough console, and the interface is similar to a mouse + keyboard, the whole purpose of having a big a$$ PC is defeated. This ( console ) will be compact, have better graphics, and will be a more dedicated platform, than a high end PC. ManISinJpr, MajinBuu and roadrippersid like this. Hmm.. the 4 + 4 core idea sounds more plausible .. and more marketable. Err. no .. If I was Microsoft I would try to unify the PC and Console as much as I can, so that both devices feel like an extension of the other. with SSD for super fast speed, and mind blowing 1080p graphics, with an optional 3D gaming as well. Naah.. too expensive to have SSDs and game load times aren't that bad. I see the future as a hybrid of PC + console. We're kinda there already if content consumption is concerned .. the future belong to a Home Entertainment Console .. a replacement for your HTPC + Set-Top-Box + Gaming Console + "Smart". ^^ thats exactly what I said DBG, unifying PC and console. this is what the old or the present Xbox 360 already had.. The main unit of the Xbox 360 itself has slight double concavity in matte white or black. The official color of the white model is Arctic Chill. It features a port on the top when vertical (left side when horizontal) to which a custom-housed hard drive unit can be attached in sizes of either 20, 60, 120, 250, or 320 GB. Inside, the Xbox 360 uses the triple-core IBM designed Xenon as its CPU, with each core capable of simultaneously processing two threads, and can therefore operate on up to six threads at once. Graphics processing is handled by the ATI Xenos, which has 10 MB of eDRAM. Its main memory pool is 512 MB in size. so 4 x4 cores is peanuts.. I have heard that due to MS developing affinity to the RT versions..
24 to 48 cores of parrellel computing gfx core !! it is debatable if the system will run the WIn 8 or not, but it is super architecture which can easily run upto 64 CPU setups !! I really don't care what it's called or what it has.. I want it. Guessing that there will be no such mad dash here.. but could be wrong. Was there a hoopla here on xbox360 launch? Oh wait.. did it come to India late? Am hazy here.. was xBox360 launched here along with the rest of the world.. or did it come here late? I think it came in pretty late .. also because the Game Publishers took time to launch the games here.